What are we trying to accomplish when we talk about shelter in relation to being prepared for emergencies, disasters, and grid-down? Simple, we don’t want to become sick, or die, from exposure. We have to be concerned about both hypothermia (cold exposure) and hyperthermia (heat exposure). That being said, let’s apply the “layers” theory to this area of prepping. 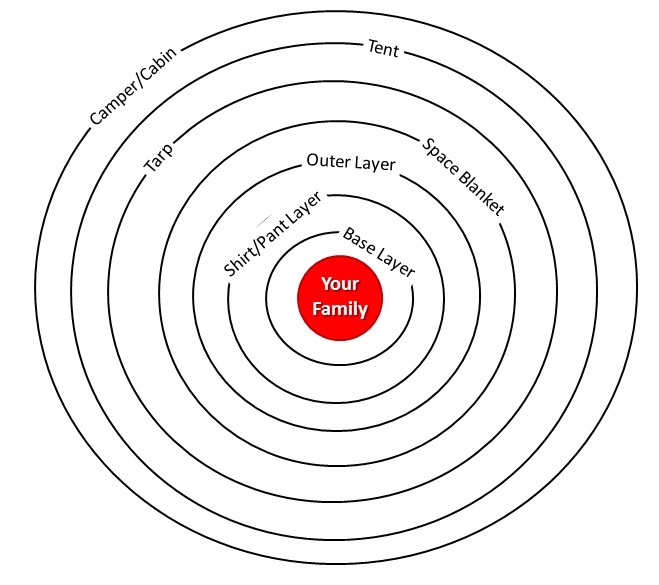 Remember, you and your family are in the center of concentric circles representing layers of exposure prevention. We’ll start from the inside circle and work outwards. What are we trying to accomplish when we talk about shelter in relation to being prepared for emergencies, disasters, and grid-down? Simple, we don’t want to die or become incapacitated due to hypo/hyper-thermia. Some my ideas might surprise you a little bit. But before we get started, let’s come to agreement on what “elements” I am talking about. I am talking about weather for sure. But, I also include anything else that could be deadly to you as well. That would include snakes, mosquitoes, and bad guys in the “elements” description. So let’s get started with putting you in the middle of a bunch of concentric circles representing the expanding concentric circles of layers protecting us from the elements and all other aspects of exposure. First up – clothing. Yup, nothing fancy, no special piece of gear or equipment, just clothing. But, this is the single most important factor, period. 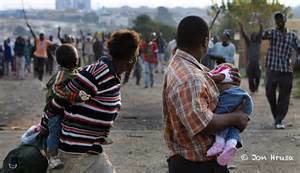 Without good quality clothing appropriate for the environment you are in, no other “shelter” will matter much. I categorize clothing into two basic groups; 1) clothing that will get you killed, 2) clothing that will save your life. Stop laughing! Or, stop rolling your eyes at least. I am being serious and you will understand what I am talking about in just a minute. Notice #1 on the list? Well, if bad guys can’t see or find you, how can they hurt you? 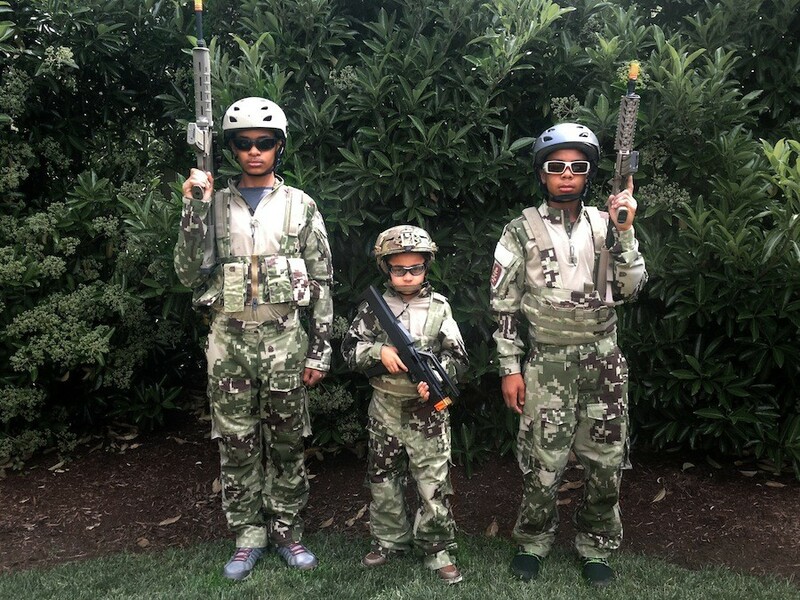 So, my first suggestion to you is pretty simple, make sure everyone in your family or group has a full set of good quality camouflage clothing to wear. I wrote an extensive article on camouflage clothing that you might find very interesting. That article explains in detail why you want to wear camouflage and how it helps to hide you. But, that being said, will you always find yourself in a situation where you need to hide from bad guys? Hey, you might find yourself in a totally benign situation where there simply are no bad guys. Fine. Or, you may find yourself in a situation where you might bring unwanted attention on yourself and your family by wearing camouflage. Fine. Both are valid situations where camo might be inappropriate. But, prepare for the worst and enjoy anything less. So have the camo clothing ready but also have other non-camo clothing that will function just as well within this “shelter” area of preps. Let’s hit on the closest layer, literally. It is called the “base layer” and is worn right next to your skin. What you wear depends on the environment you will be in. If it is a cold environment then you may want to wear thermal underwear. 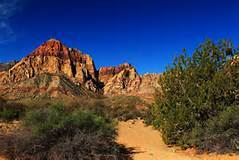 If it is the desert where you will be then you may want to wear the lightest possible material. In either event you always want to wear clothing next to your skin that will transport moisture away from your skin. If you are going to be in hot, humid, rainy conditions maybe commando is the way to go. I am not a fan of artificial fibers for base layers. Nature has already made great natural fibers that have worked for millions of years, no need for man to screw around with them. I don’t recommend, and I don’t endorse any man-made fiber material for a base layer. For cold environments most people automatically think of cotton thermal underwear. I did as well in years gone past. But there is a huge difference in materials and what they can do for you or what they can do against you…like kill you. Cotton is the worst thermal material that you could possible use in a cold environment. It will potentially kill you. If you overheat and start to sweat, cotton will hold the moisture directly against your skin and draw heat away from your body. Wool on the other hand is an amazing natural material. It is designed to keep you warm even if it does get wet. Remember you want to be warm as you sit around and that’s for sure. But, that is what a campfire is for. But, the same layers of warm clothing that keeps you toasty sitting around camp could be far too warm for any physical exertion on your part. So, you not only want to be warm sitting around a camp fire, you want your clothing to keep you warm when you are engaged in your normal physical activities. Those are two very different situations. If you are walking with a backpack through the snow and you are over dressed, you will sweat. And sweating is creating moisture against your skin. If you stay that way, you will cool off and you may become hypothermic. I researched and tested a lot of different wool, Minus33 Merino wool was the best all-round that I found. 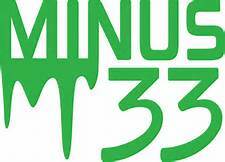 There are other brands, but I found Minus33 to be the best. One more time…I am sold on one brand of cold weather underwear – Minus33. I think it is simply the very best. Wide range of men’s and women’s products in three weights; lightweight, midweight, & expedition. Their products are made from Merino wool. 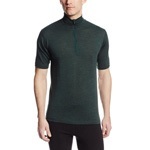 It has an amazingly soft and comfortable feel.Minus33 Merino Wool regulates the amount of moisture on your skin by absorbing any moisture or sweat on your body. Then, the absorbed moisture evaporates out of the fabric into the atmosphere. For me, I like a little moisture against my skin in hot weather to cool me down. The exception would be the crotch area. 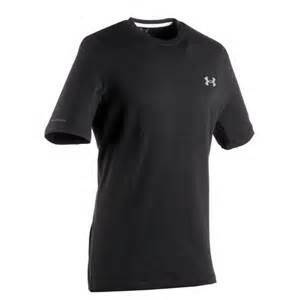 Also, a gentle cooling through moisture evaporation of a t-shirt will help keep you from overheating. But that same moisture in your crotch area can lead to “crotch rot” and that is miserable. Regular cotton doesn’t provide that quick moisture wicking and drying. Charged Cotton does provide that wicking effect and dries quickly. Just as I love a single brand of underwear for cold environments, I am just as sold on a single brand for hot environments – Under Armour. I work in very, very harsh desert environments fighting wildfires, UA is simply the best in my opinion. Their Tactical Charged Cotton is built from 100% cotton. It has the power to wick sweat and dry fast. Lightweight Charged Cotton has the comfort of cotton, but dries much faster through their Signature Moisture Transport System wicks sweat away from the body. Note: Now, for you that are LDS, the “handbook” has exceptions for certain conditions for your base layer. 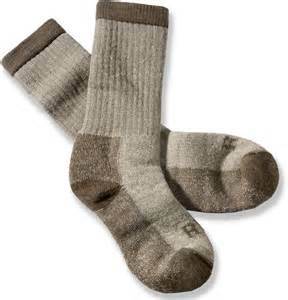 There is only a single material that I think is appropriate for socks – wool. Period. I use wool for both hot and cold environments. It works just fine, the best actually. I like SmartWool and REI brand wool socks (in that order). 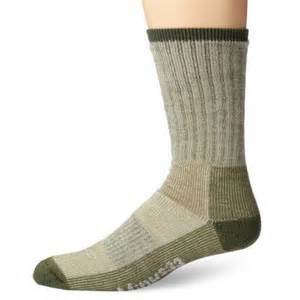 Get a heavy pair for when you are hiking with lots of weight or in harsh cold conditions. I use a light pair for desert environments in the summer. However, that being said, I have used heavy, mid and light-weight socks in both hot and cold conditions and I have yet to be uncomfortable. Just use your head. And it wouldn’t hurt to try different weights for your specific conditions. The weight will also make a difference on the thickness of the sock. Make sure you try your socks with the boots you expect to wear. Also, never go buy a new pair of boots without taking your thickest wool socks with you when you are trying on those new boots. Your first protection against the elements, hot or cold, should be your base layer. 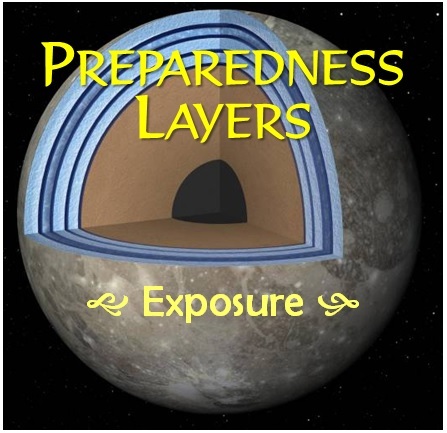 Then comes your next layer; it may not be your outer layer. For this discussion we will call it the shirt/pant layer. This is the layer that will likely provide your greatest resistance to all aspects of your environment, so it is essential that these items be of the highest affordable quality possible. I will break this layer into groups, camo and non-camo. Both need to be sturdy and can probably be made from the same kind/type of material. Pants – Propper (65/35 poly/Cotton) rip stop. They are comfortable, hold up well, and are cool in 100+ degree desert conditions. 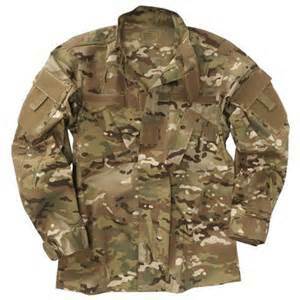 Shirt, ACU – ReadyOne Industries 65/25/10 rayon/Aramid/nylon) rip stop. It is comfortable, hold up well, and are cool in 100+ degree desert conditions. I buy the military surplus stuff. 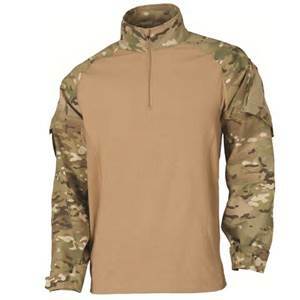 Shirt, Tactical Combat – 5.11 Tactical Multicam TDU Rapid Assault Shirt. This shirt is specifically designed to be worn with body armor. It is also great when worn with a tactical vest without body armor. The sleeves are 65/35 poly/Cotton rip stop. The main shirt body is 55/37/8 cotton/poly/spandex. 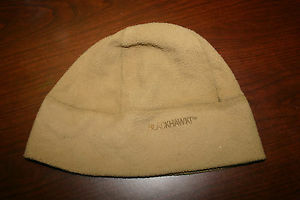 It is extremely comfortable, holds up well, and is cool in 100+ degree desert conditions. The quarter-zip front really makes this shirt comfortable in hot weather. 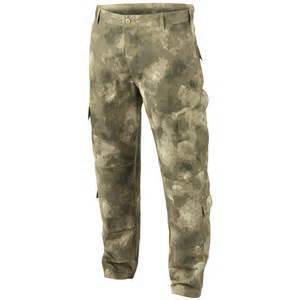 Pants – 5.11 Tactical Series (65/35 poly/Cotton) rip-stop. They are comfortable, hold up well, and are cool in 100+ degree desert conditions. They are also warm by themselves in cold conditions. Add a base layer and they are just toasty. 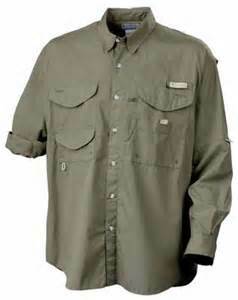 Shirts – Colombia Bonehead PFG (100% cotton poplin). The shirt also has a mesh-lined vent at center back. This is a very comfortable shirt that performs exceptionally allowing air to circulate over your back keeping the moisture wicking away from you. The material also dries very quickly. So do I suggest other materials or styles? No, not really. 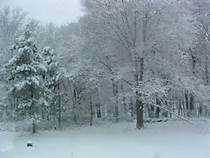 The clothing suggested here works for both warm and cold climates. If it is colder, you put on your base layer. If it is warmer you don’t use your base layer. I’ve worn these same exact clothes in 100+ degree bright desert sunny days. I am still around to write about it. Sure, it may get hot but it wasn’t to the point of unhealthy or dangerous. So what about it getting really cold, now what do I wear? I already mentioned that you wear your base layer, then the shirt/pant layer. Once you have that on you assess how much warmer you have to be. Again, I’ve worn these exact same clothes and been just fine in both hot and cold conditions. However, a base layer and the shirt/pant layer may not be enough for cold(er) conditions, an outer layer may be required. But that doesn’t mean you have a different pair of pants, a different shirt, or different base layer. Your base layer and pant/shirt layer still remains in-place. You “layer” your clothing to meet the conditions. If you warm up, you take the outer layer off. If you get cool, you add a layer on the outside called the outer layer. Why add or remove an outer layer? To reduce the time, effort, discomfort, and vulnerability while not attempting a complete wardrobe change. That is also why you want the lightest possible base layer; you don’t want to have to take that layer off in the middle of your day. Think about it…you are bugging out with your GOOD BOB on, your family is in tow, and now you are overheating. You stop to remove your base layer. How much effort goes into that change? How much time does it take? And while you are doing all of that changing of clothes are you really prepared to handle threatening situations very easily? Watch Cap – Blackhawk (100% 7 oz. Blizzard Fleece). This low-profile cap is really warm and won’t interfere with any jacket hood and is comfortable under a helmet. 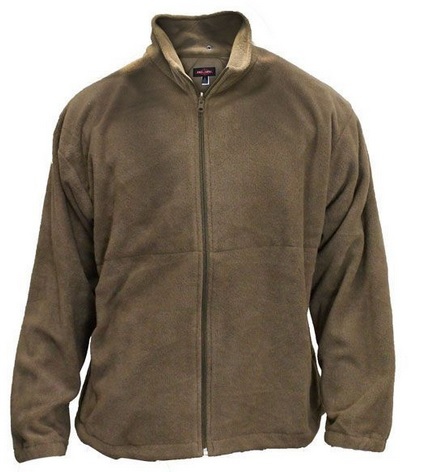 Hood – Military Surplus AF Apparel (100% Microfleece). 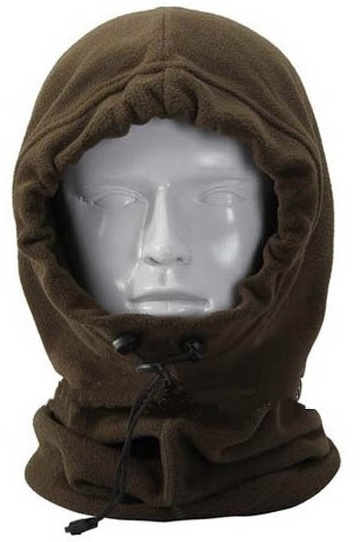 This is a great cold weather hood! It has drawstrings to cinch down the amount of exposed face. And a lower drawstring to secure it low on your neck. Make sure you get a “long” cold weather hood to make sure it stays inside of your jacket. 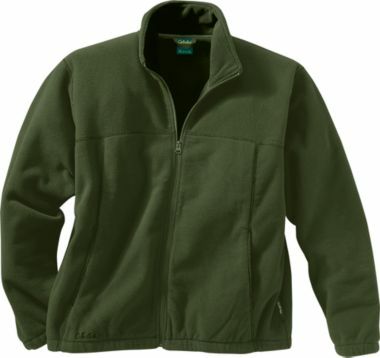 Jacket – Cabelas Snake River (100% fleece). This is a very comfortable and warm jacket. Zippered front pockets and a drawstring at the bottom. The drawstring allow you to cinch it up to prevent cold breeze from getting underneath the jacket. 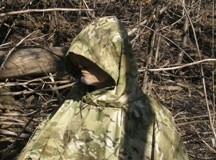 Rain Poncho – O.P.S.E.C Poncho by Survival Solutions is the only way to go! This amazing poncho was designed specifically to go over your backpack and fit correctly. Optionally it is also 42sqFT shelter-half. There is no better rain poncho. Note: It folds up and then can be stored in its own hood. 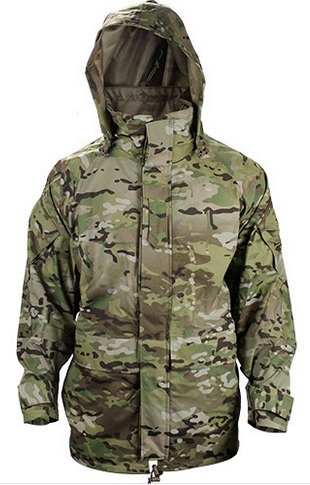 Parka – Parka is made from 3-layer DINTEX® nylon material that is windproof, waterproof, and breathable. The zippered underarms open for ventilation to keep you dry and comfortable. Double storm flap, interior flapped map pocket, rollable hood stows away in the collar, DINTEX® inner lining, non-freezing two way zipper and zippered underarms, 3-pocket design and adjustable sleeve cuffs, sleeve pockets, waist drawstring, and large cargo pockets. The parka comes down to upper-thigh. Parka Liner – Liner is made from microfleece, a lightweight, warm and soft fabric that is hydrophobic. Zip thru collar, zipper front placket, elastic cuffs, drawstring waist, front pockets, and sleeve attachment loops for attaching to the parka. For non-camo clothing options I suggest you look at quality snow skiing clothing. Why don’t I go into more detail non-camo clothing? Because I don’t do non-camo outer layer clothing. Why? For what we are talking about (emergencies, disasters, & grid-down) I want the very best gear I can own. And I am not made out of money so I go with the old saying, “prepare for the worst and hope for the best.” Military gear is the best. Well, if that is a possibility then you have far, far bigger issues to deal with. This would be a martial law, occupation type scenario that is a much bigger issue with far great problems to deal with than military clothing. At some point I may go into a “grey-man” scenario article, not here. Also, notice I didn’t touch on gloves or boots. I did a review on Lowa Tibet GTX boots for cold weather. < Click to read Lowa boot review > The Lowa’s are also just fine for hot desert conditions as well. But, I also like Merrell Moab boots for warm/hot conditions. < Click here to read Merrell boot review > so you can take your pick on which boots you like. As for gloves, I am preparing a review soon on those and you can read more detailed info when that article comes out. So there is your “clothing layer” and I can guarantee you that you will be warm in virtually any climate you can find yourself operating in. Alright, time to move on to more layers. We got all the way up to the ECWCS parka and rain poncho, but what is next? Next up – Non-shelter shelters. To me the best non-shelter shelter it is a hammock. Yup, you read the words correctly, a hammock. So, why a hammock? When it comes time to sleep you want to be off the ground. It gets you away from the critters that could harm you, gets you off the cold and/or wet ground as well. 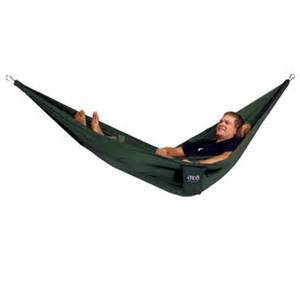 I like the Eno hammock for quality, pretty hard to beat. 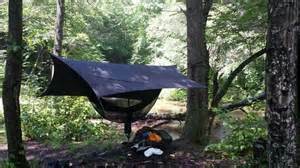 So you think it might rain while you are sleeping in your hammock? String up your shelter-half (OPSEC Poncho). Now you are off the ground and under cover. Efficiency: reflects 80% of radiated body heat back to you. 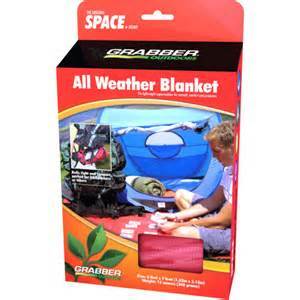 Uses: Use for warmth under a tent, line a hammock, a bivy sack, on top of your air mattress, or line your sleeping bag. Can also be used as a makeshift poncho. Basic Shelters – What happens if it rains or snows? String up your poncho as a shelter half. If that is still not enough then you go to the “tarp” layer. A decent quality ploy tarp is an excellent choice. They are easy to carry, lightweight, have grommets to facilitate stringing them between trees with your para-cord. Here is a great tip…string up your tarp between trees with three of the four edges of the tarp in contact with the ground. Have a single open front facing your fire. If you have a good sleeping blanket and ground tarp put those on top of a good insulating layer of leaves or boughs. Now, line the inside of your shelter-half with the space blanket mentioned above. No ground cloth? No problem! 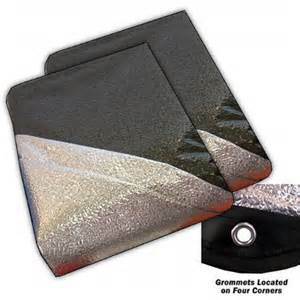 Make your insulating layer as mentioned, then lay out your space blanket with the silver side up. Then lay out your sleeping blanket on top of that. Get in your sleeping bag and roll up until you look like a burrito. You will stay very toasty. More Shelter – So, you want something more stable, more permanent, no problem, go to the next layer…a tent. 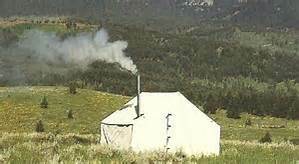 Tents come in all sizes; from a small put-tent to a nice big cabin-wall expedition tent with stove and cots. Take your pick, whatever works for you and your situation. But, go with quality! Remember, when it comes to tents you might not always be able to transport it in a vehicle. Apply the layers theory to this situation. Before you have a big luxurious cabin tent, have a highly-portable, easily carried smaller tent. I really gotta tell you, as far as personal tents go you simply can’t do better than SnugPack…period. I use The Bunker as my personal tent and I am amazingly pleased with the quality, the layout and the over build and function. There simply isn’t a better tent. You can’t go wrong with it! 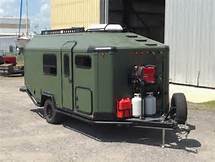 Ultimate Shelter – And finally, if you are still not feeling like you are getting the shelter you need…how about a bug-out camper or a bug-out cabin/house? I could go into really incredible detail with this section but I am not going to. There may be a time and place for me to, but that time and place is not now. But, by now you get the idea of how these layers build upon each other and how the concentric circles work here in the shelter category. 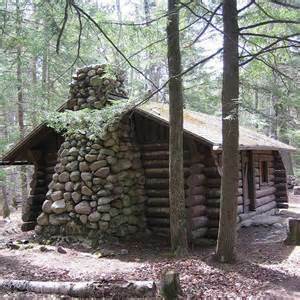 You have your personal “shelters” close to you (clothing), then sheltering grows in size and complexity as you add on more layers all the way up to a cabin. But you still always have your base layer…the easy to transport and the layer that is the most important. The layered system expands to keep hypo and hyper-thermia as far from you and your family as possible. However, each layer has its specific and important role. Don’t skip any of those layers.